We are yet to be truthful to our own pledge that we take, that we are, “one Nation under God, indivisible, with liberty and justice for all”. Our benediction should strongly reflect the sentiment of oneness of our nation under God, and shed our hypocrisies of excluding fellow Americans even in our national prayers. I hope this benediction paves the way for us to be inclusive without having to agree. Please review this, and if you like it, kindly click like, tweet, share and send to your friends from Huffngton post… and above all, if you could comment in the Huffington post, I would appreciate it. Mike Ghouse is a speaker, thinker and a writer on pluralism, politics, peace, Islam, Israel, India, interfaith, and cohesion at work place and standing up for others as an activist. 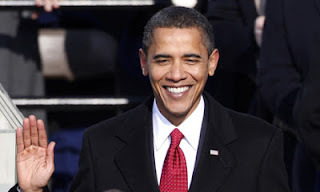 He is committed to building a Cohesive America and offers pluralistic solutions on issues of the day at www.TheGhousediary.com. Mike has a strong presence on national and local TV, Radio and Print Media. He is a frequent guest on Sean Hannity show on Fox TV, and a commentator on national radio networks, he contributes weekly to the Texas Faith Column at Dallas Morning News, fortnightly at Huffington post, and several other periodicals across the world. His personal site www.MikeGhouse.net indexes everything you want to know about him.